While the cast and their acting looks promising enough, the storyline – not so much, says Kshamaya Daniel. No one does glitz and glamour like Bollywood. Even when there's no need for it. The trailer of Student Of The Year 2 promises a story brimming with high school drama, nail-biting fights, confusing love triangles, lots of synchronised dancing and a healthy dose of cliche. The fundamental plot of the film appears to be similar to its 2012 counterpart (see my review here), save for the fact that, now, we see two girls fighting over one boy. In the first film, it was the opposite. The trailer opens with the principal of St Teresa High School declaring their annual competition, The Dignity Cup, open. 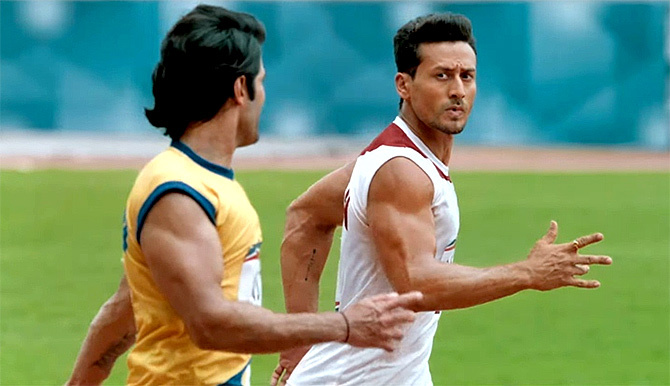 We see the introduction of the three protagonists: Rohan, the aforementioned love interest of two popular girls, and St Teresa's primary competitor for the Dignity Cup, played by Tiger Shroff. We meet Mia, played by Tara Sutaria, who is Rohan's #1 fan and Shreya, played by Ananya Pandey, who is Rohan's nemesis-turned-admirer. The girls make their Bollywood debut with this film. While the cast and their acting looks promising enough, the storyline – not so much. The trailer boasts several fight scenes, where Tiger showcases his fancy stunt moves and washboard abs, but why? Eighteen to 21-year-old kids neither look nor act like Tiger Shroff, resorting to high-flying, superhero kicks to knock out their enemies when faced with adversity. 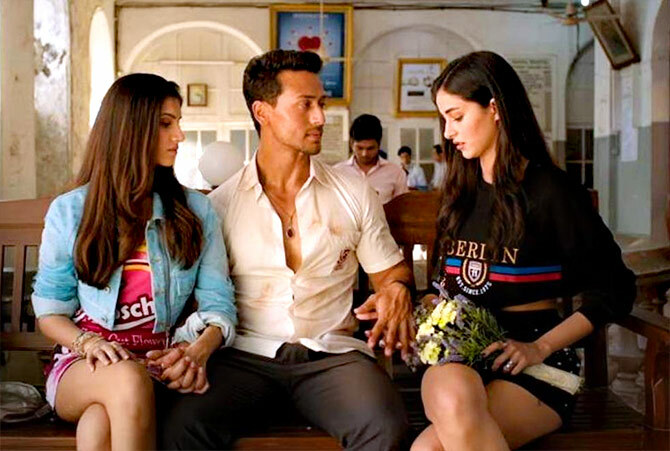 The casting of Tiger Shroff was clearly meant to bring that exciting element of action into this otherwise chick flick, but I really didn't like the way that seems to be integrated into the story. The trailer has several shots where Tiger Shroff is taunted and brutally beaten by, who I assume to be are, his opponents in the Dignity Cup competition. This sparks a fierce and ambitious fire in him and he begins to train for the competition. A training that involves him getting back at his opponents and roughing them up. This concept of violence has become so commonplace in films these days, that you won't even notice how subtly they normalise bullying. The target audience of the film is very clearly teens and young adults, who tend to be more impressionable than they realise. Issues like first love, peer pressure and bullying are paramount at that age. Is this really the message they should receive about how to solve their problems? The storyline, which focuses on the intricate powerplays and hierarchy of student life, is banal and overused and I highly doubt Student Of The Year 2 will be the movie to squeeze one more victory out of this tired genre. What also caught my eye were the costumes. The attention to detail is commendable, but I think it's safe to say that I know of zero Indian schools that would be onboard with such a modern dress code. 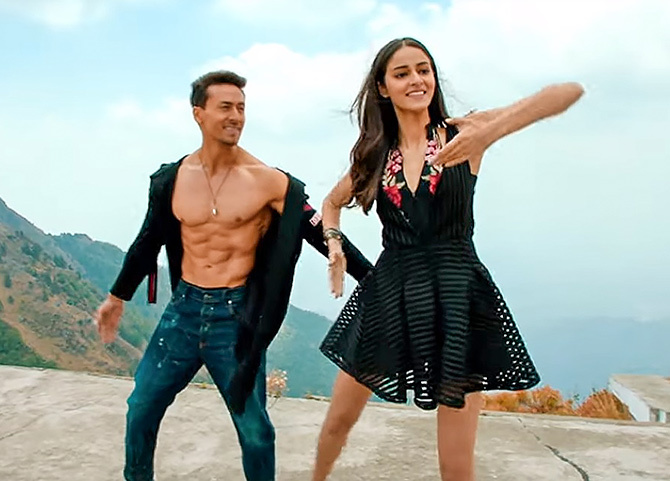 Tiger Shroff can be seen wearing a uniform at certain points, whereas the girls seem to prefer dresses, skirts and crop tops. I wish this had been my school! The film score is catchy, but the dances are overkill. Synchronised dancing may very well be a rite of passage in Bollywood but, between the all the dancing and the fighting shown in the trailer, I was barely able to catch a peek of the plotline. On the positive side, the production quality appears to be outstanding. Like the prequel, the film is shot in the stunning St Teresa School in Dehradun, giving it an authentic feel to make up for the lack of reality in other aspects. As compared to the first instalment in the series, I'm definitely more excited to see what the film has in store for us, and to see how the new cast will measure up to the earlier one. Student Of the Year (2012) was one of the highest-grossing films of its year and its actors have had ample time to come into their own. Like it or not, Ananya Pandey and Tara Sutaria are likely to be compared to current-day Alia Bhatt rather than her 19-year-old self, despite the fact that she also made her debut in the first SOTY film. The girls have large shoes to fill and I'm keen to see how they will fare.